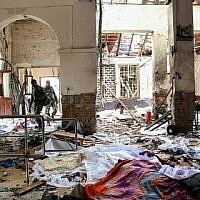 In December 2015, at the height of the investigation into that summer’s terror attack in the Palestinian village of Duma, Education Minister Naftali Bennett took the opportunity to set the record straight regarding the conduct of investigators from the Shin Bet security service, which had come under scrutiny. “I have checked (this issue) thoroughly, as has the justice minister. 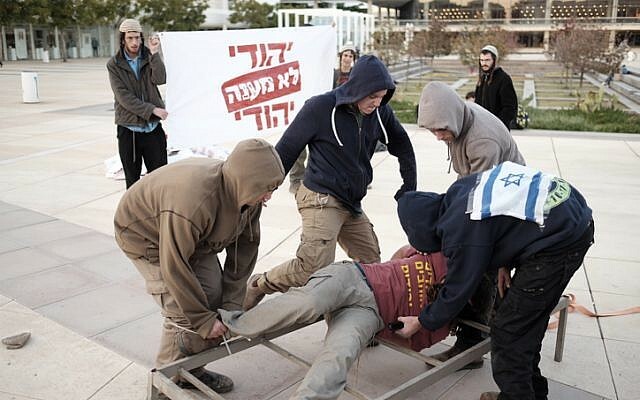 The [Jewish] suspects are not being hung by their legs, there has not been any sexual abuse or attempted suicide. 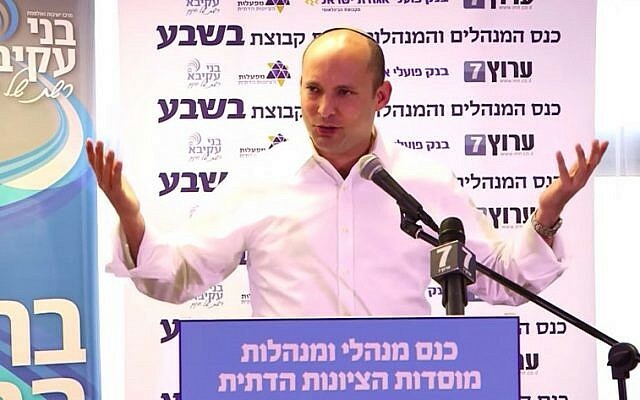 Everything is being supervised and controlled at the highest level,” Bennett sternly told the crowd at a conference run by the national-religious B’sheva newspaper. “Who do you prefer to believe? Itamar Ben Gvir or Ayelet Shaked, the justice minister of the State of Israel? What is going on here?” he shouted in apparent fury at members of his camp who had recently begun speaking out against the Shin Bet. They were spurred by the Duma suspects’ lawyers, among them far-right activist Ben Gvir, who had claimed that their clients had been brutally tortured during their interrogations. Last week’s decision by the Central District Court to throw out confessions obtained from the suspects by way of “special means” appeared to refute Bennett’s assurance that no lines had been crossed by the Shin Bet. While the court redacted many of the tactics used by the security service during its interrogation of Amiram Ben-Uliel and his unnamed accomplice — a minor at the time of the attack — what was cleared for publication in the 188-page document provided more than an inkling into just how much investigators had to push in order to extract confessions from the pair. Moreover, the decision sheds rare light on methods routinely used against Palestinian suspects, according to experts. 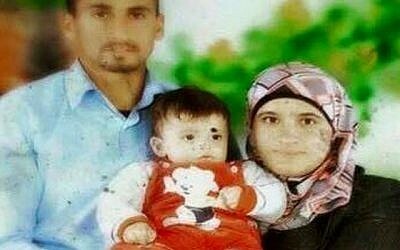 Several months after the July 31, 2015, firebombing that killed toddler Ali Saad Dawabsha and his parents, Riham and Saad Dawabsha in the West Bank village of Duma, an apparent breakthrough in the investigation led to the arrests of Ben-Uliel and the minor. The court’s decision last week detailed how Ben-Uliel remained silent for the first 17 days of questioning, at which point the Shin Bet began a series of “necessary interrogations” in which agents were authorized to use enhanced methods against him under the pretext that another attack might be imminent. The exact details regarding what went on during two such “necessary interrogations” were largely kept confidential, but the court decision reveals that one lasted seven hours and the other five hours. During both of the “necessary interrogations” conducted on him, Ben-Uliel confessed to having carried out the attack. Both of these confessions were thrown out by the judges last week. Following the first extension of the minor’s remand on November 26, 2015, police transferred the 17-year-old to a detention facility in Acre. There, the entire prison was mobilized for an elaborate exercise aimed at compelling the suspect to confess. As part of the exercise, a fight was staged between the inmates, which climaxed when one of the Jewish prisoners “stabbed” an Arab prisoner. The man playing the stabber had shared a cell with the minor, who witnessed the smuggling of the knife that was used in the staged stabbing. Pretending to be worried that the teen would turn on him, the cellmate demanded that the minor give information on some of the crimes he committed so that neither would have an upper hand on the other. He was then questioned by the Shin Bet, who handed him a can of soda at the end of the interrogation. The minor’s fellow inmates noticed the drink upon his return to the cell and immediately began accusing him of snitching. Intent on defending his name, the teen agreed to give details regarding various offenses he committed, which included a number of hate attacks against Palestinian villages. 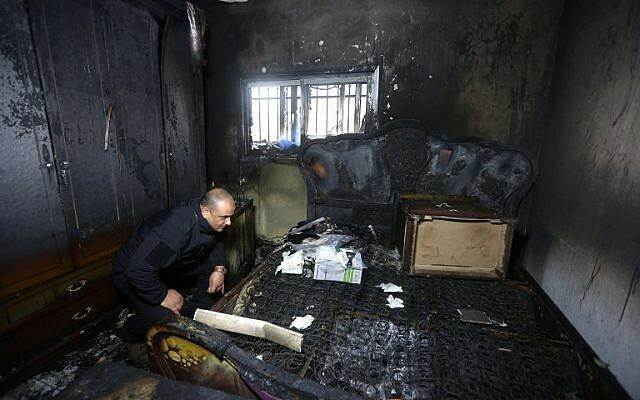 He spoke about the Duma firebombing as well, but avoided implicating himself directly in the attack. The court deemed the confession extracted during the exercise at the Acre detention center admissible in the case against him. In order to obtain additional information regarding his exact role in the Duma attack, Shin Bet interrogators carried out three “necessary interrogations” of the minor over the course of a four-day period. During the last of those interrogations, investigators told the teen that he had yet to tell the truth. In response, the suspect told interrogators that he was willing to admit whatever they wanted. He went on to confess to planning and carrying out the Duma attack before breaking down in tears and asking if the interrogation would stop. The investigators said they didn’t believe the teen and the interrogation continued. When he appeared in court the next day for a hearing on the extension of his remand, the judge asked him how he was doing. “I did not sleep last night and I won’t be sleeping tonight either, unless something changes,” the minor responded dejectedly. “They’re interrogating me violently about something I cannot help them with because I do not know. They’re beating me, bending my back, laughing at me, looking at me with contempt. What the hell am I supposed to do? How can I protect myself?” he asked, bawling. “I’m screaming like a retard, crying like a baby as they laugh, ‘Murderer, murderer! '” the minor recalled to the judge. “I told them to kill me rather than do this to me. Give me poison. I’m begging you, Your Honor, I cannot do this anymore,” the suspect concluded. The judge went on to extend the suspect’s remand and he was returned to the detention facility. It was at that point that the 17-year-old tried to slit his wrists. He recalled the incident during a later hearing before the judge that was documented in the court’s decision last week. The suspect folded up a tinfoil wrapping from the meal he had received into a spear and began cutting himself. However, he failed to slice deep enough and eventually gave up. “I told myself, ‘Great, this is exactly what I need right now.’ I cut myself, I did not die, and now I am going to have to sleep bound to the bed because this is what happens to prisoners who attempt suicide. “So it’s not enough that I am tied all day during interrogations, but now I will be bound to a bed when they are over as well,” the suspect recalled to the judge. The prosecution asserted that the incident had been a “manipulation” — an attempt by the suspect to stall the investigation and put pressure on the interrogators. It added that the minor had told a psychologist who examined him after the incident that he had had no intention of hurting himself. The minor also complained about what he characterized as the sexual harassment he endured throughout his questioning. “They also talked about (crude) experiences and fantasies that they had… and I think this was done intentionally because I am a religious person,” recalled the then 17-year-old to the judge during another one of his remand hearings. “Roni (one of the interrogators), for example, would talk about how he was interested in having a sexual experience with a man, and put his hand on me (when he said that). This is something that bothered me and he knew it did,” the minor told the judge. Interrogators forced both suspects to listen to crude songs that were sung by women, something that some Orthodox Jews forbid. 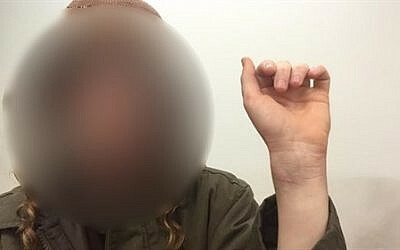 Ben-Uliel and his alleged accomplice were also told that members of their families had been arrested due to their refusal to cooperate. Last week’s Central District Court ruling cites the prognosis of the doctor who examined the minor and diagnosed him with PTSD. 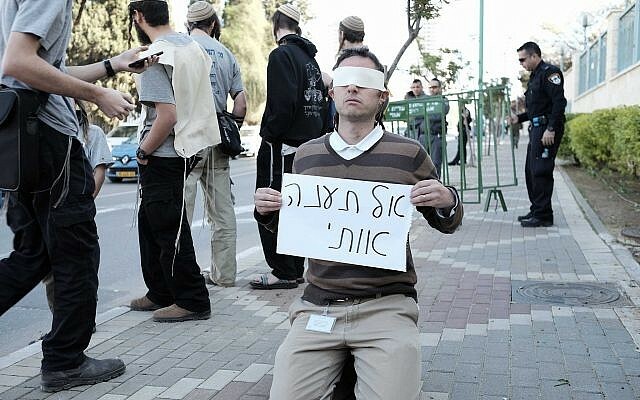 Khalil Zaher, an attorney for the Public Committee Against Torture in Israel (PCATI), argued that the tactics used by Shin Bet interrogators in the Duma investigation were far from unique. The PCATI attorney said that religious victims usually refrain from recalling the insults verbatim, instead referring to them as “things I can’t utter” — similar to how the Duma suspects recalled the comments made in their presence. Zaher said the court’s handling of the minor’s attempted suicide was also typical. “Very seldom does an interrogation stop when the suspect threatens suicide,” he said, saying that a social worker is typically called in to grant permission for the detainee to be interrogated with their hands and feet tied. However, in addition to the confessions given by the minor during the jailhouse informant exercise, the judges also ruled that several other confessions of guilt will be admissible in the cases against the two, given that they were given well after the “necessary interrogations” had completed. 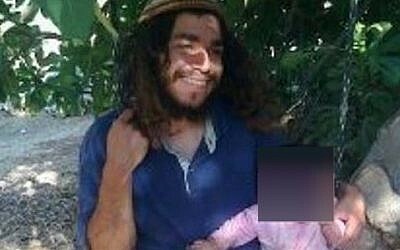 The official said that the court had authorized the Shin Bet’s decision to employ “necessary interrogation” given the gravity of the crime and the concern that similar ones could follow.